Lunch @ La Casa is part of the Office of Inclusion and Intercultural Relation’s Lunch on Us noontime discussion series. 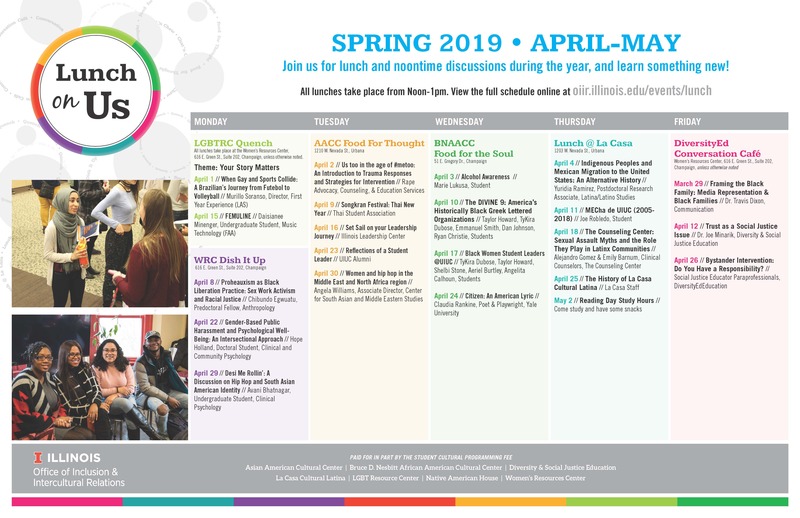 Lunch @ La Casa takes place every Thursday during the academic year, and features interactive presentations focused in four areas: Campus Resources, Health and Wellness, College Living, and Community Connections. Paid for in part by Student Cultural Programming Fee.